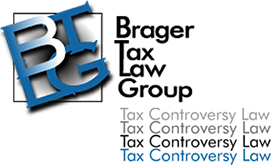 In this video, we will be continuing our discussion on what actions by the IRS may reveal a forthcoming criminal investigation? You have been selected for an audit and you know that the relevant tax years contain untrue statements or significant understatements of income. Your bank records have been served with an IRS summons even though you volunteered to provide those records to the IRS yourself. You have been audited and are in regular contact with an IRS agent. The agent then disappears for weeks at a time and will not return your calls. Your accountant informs you that he has been interviewed by the IRS. The IRS agent starts copying voluminous documentation rather than simply reviewing the documents you provide, and then returning them. The IRS issues a summons to interview you, rather than simply asking you to come in for an interview. The IRS agent mentions that he has consulted with a fraud technical advisor. While this does not cover every situation that should raise an alarm, they do no give a good sense of the types of events that should trigger concern by a taxpayer. If you have any worries it's been better to reach out to us to see if your fears are justified. One last tip: If an IRS agent shows up to interview you at your home early in the morning, and tells you that he is an IRS Special Agent, DON'T SAY A WORD. Call us immediately! You are almost certainly under criminal investigation.